Navigating the gastronomical giants in Paris can be both intimidating and scary, but not any longer. Ah Paris. The city of love, the city of light, and most importantly, the city of haute cuisine. Paris is the epicenter of the most exclusive and succulent food in the entire world. Attracting chefs from all types of cuisine, the dining experience in Paris is like no other. Get ready, because I'm about to disclose everything you need to know about the créme de la créme of fine-dining in Paris. Some of the most iconic restaurants in Paris are Le Fouquet's and Maxim's, which tend to be overpriced and more of a tourist experience. The same can be said about Café de Flore and Les Deux Magots - they are very pretty on the inside, but only give the illusion of Parisian fine dining experience. The three iconic fine-dining restaurants I'm appraising are La Tour D'Argent, Lucas Carton and the Café de la Paix. I will also rate the two best Japanese restaurants in Paris: the Matsushisa in Le Royal Monceau and the SHU. These five restaurants compliment each other wonderfully and will definitely quench your thirst for fine-dining. This glorious Louis XIV themed, traditional French restaurant, lives up to its name: Silver Tower. 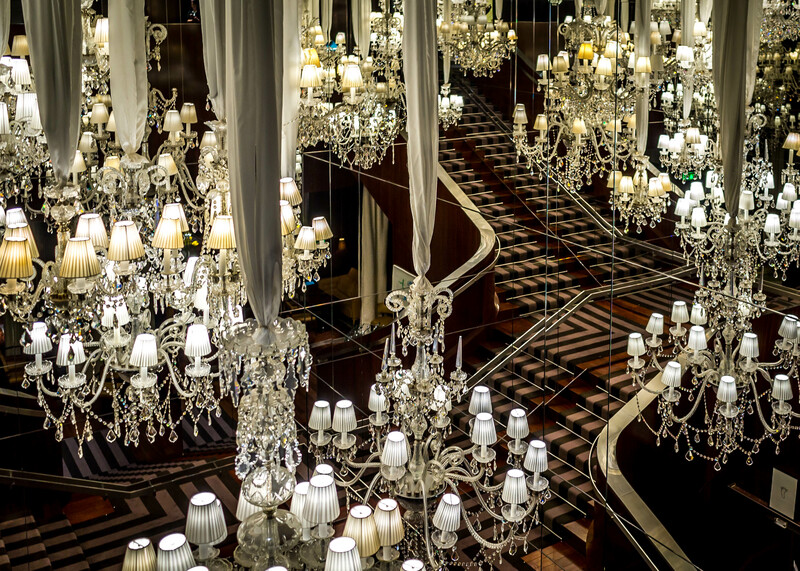 As the doorman welcomes you, you enter a trance of old French glamour. 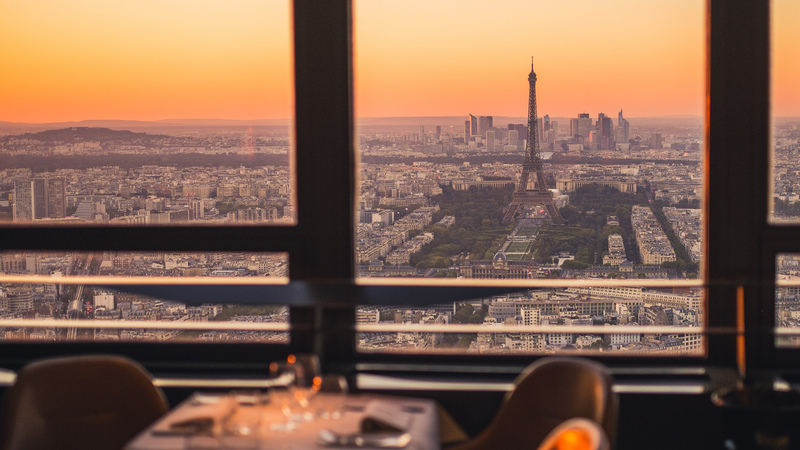 Coats are taken, greetings are made and an elevator will take you to the grand dining room with a view that gives even the Eiffel Tower's view a run for its money. As you are seated, the smell of duck, their specialty, fills your nostrils. The table is exquisitely decorated with silver cutlery and cups with beautiful engravings. The menus will arrive swiftly by kind waiters who speak both English and French. As for the menu, it varies by the season; an essential trait of any good restaurant. The winter season features heavier and warmer dishes, whilst during summer, the dishes are much lighter and incorporate more fruit. By my recommendation, stick to the classics; roasted pears for the hors d'oeuvre, the foie gras and the duck (it comes with a card that tells you what number of duck you've been served). At last, for dessert be sure to order a digestive paired with the chocolate mousse or Dubois's "Crêpes Mademoiselle". For La Tour D'Argent's full menu, go here. Get ready for your taste buds to experience the incredible fusion of French food with Julien Dumas's own personal style. What I specifically like about this restaurant is their vegetarian options. What also struck me about the dining experience there was the astoundingly accurate wine pairings with each course. The baked foie gras is accompanied by a bittersweet cranberry sauce and paired by an extraordinarily rustic and fruity red wine. The fish course, is paired with a delicate white wine to prevent any conflict with the flavor of the fish. For dessert, they offer sherry or soft liqueur with their varied array of ice creams, sorbet and a delicate praline éclair. The ambiance is extraordinary and absolutely wonderful; the service is excellent and there is a vibrant buzz around the entire restaurant. The restaurant is a combination/clash of an Art Nouveau and post-modern furnishings. Just as before, Lucas Carton has a seasonal menu so be sure to check out their winter menu before they switch to more light and sweet dishes for the spring and summer. As you leave, marvel the glorious view of the Madeleine while you process the fantastic night and incredible dinner you enjoyed. For Lucas Carton's full menu, go here. 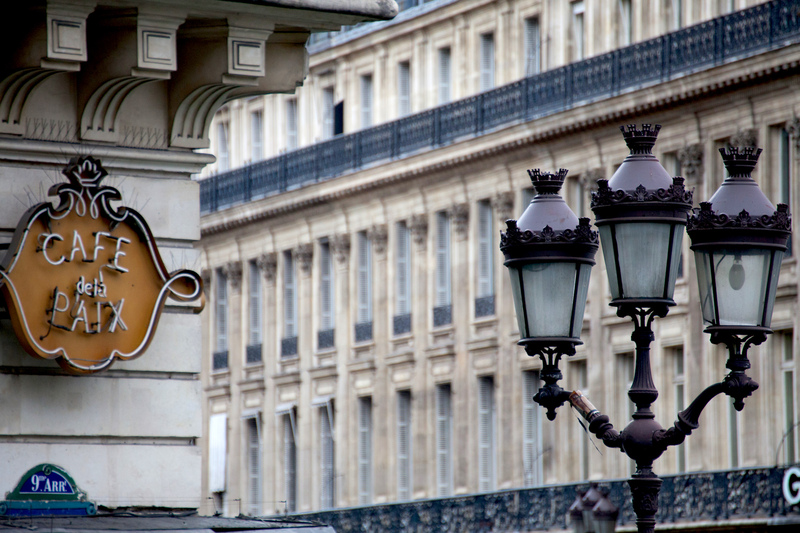 The Café de la Paix is one of Paris's most iconic restaurants. Known for their Coquilles Saint-Jacques and chocolate éclair, this café offers two dining options: brunch and dinner. 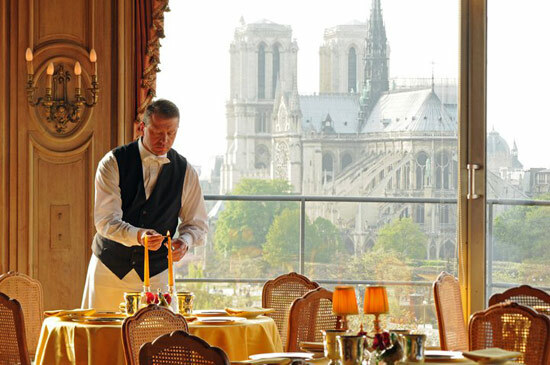 During brunch, the café offers a small terrace right on Boulevard des Capucines with a glorious view of the Opéra. They offer, smaller and more café-style food such as club sandwiches, burgers, omelets and steak hâche. Brunch prices run from about €40 to €70 Euros for two people. As for dinner, this is where things really start to go into the big league. Café de la Paix is an architectonic ode to the Belle Époque, preserving the former glory of Paris which will give you a true Parisian dining experience. I recommend sharing an entrée, a main dish and a bottle of white or red wine. If you're dining with a large group, order one bottle of red and one of white since Café de la Paix is not only famous for its St. Jacques, but also for its delicious wines. So sit back, relax and get ready to enjoy some amazing French cuisine and an incredible dining experience. For Café de la Paix's full menu, go here. Inside one of the most chic hotels in all of Paris, Le Royal Monceau, lies this watering hole for Japanese food enthusiasts. This gorgeous, modern yet traditional restaurant offers not only excellent Moscow Mules, but also a takes sushi to the next level made by Chef Nobu Matsuhisa. As you enter, the hostess will greet you by loudly calling out something in Japanese and the chefs and waiters will cry back something that sounds similar. I recommend that you try at least five entrées before diving into the sushi and sashimi. 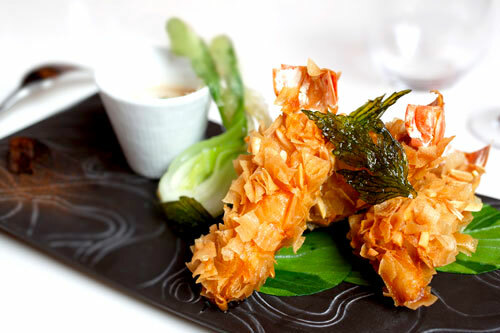 The King Crab Tempura is extremely recommended, which Matsuhisa gives a twist by adding watermelon chunks. The Seirole and jalapeño tiradito is also indeed a must as well as the popcorn or tempura shrimp; be sure to dip it in all of the three glorious sauces provided. As for main courses, they offer variations of makis, sushis and tempuras and temakis. Definately try the O-Toro and de Chu-Toro, they are out of this world. Hold back on the wine and enjoy their exotic mixology, especially the Moscow Mules and their assorted martinis. After dining here, believe me, you won't ever be able look at Japanese food in the same way. For Matsuhisa's full menu, go here. Last but not least, Restaurant SHU. What I adore about this restaurant is not only the spectacular food, but its location; finding it is a feat in itself. After you spot the tiny door, you must crouch down as much as possible in order to finally arrive in the dining room. Here, you will be led to a small private table inside this wine cellar-meets-old-Japanese décor and then, the best part begins. 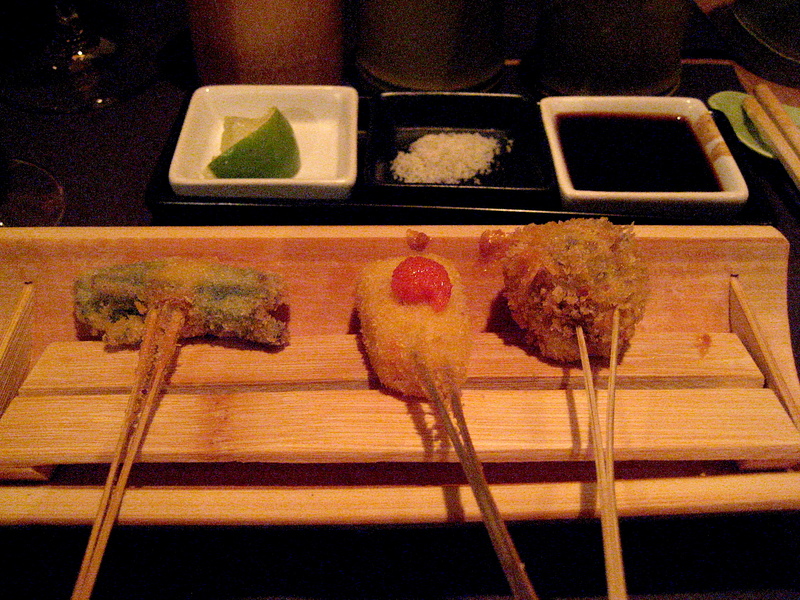 There are three menus to choose from: the Kyôu, Suzu and Kazé. Difference between them all? Prices and portions. The Kyôu menu includes one appetizer, sashimi of the season, three season dishes, nine varied kushiage, rice soup or cold noodles and dessert. As the most expensive menu, a full meal goes for 68 Euros per person. The Suzu menu includes one appetizer, one sashimi of the season, one seasonal plate, 15 assorted kushiage, a palate cleanser, rice soup or cold noodles and dessert. It costs a total of 58 Euros. Finally, the Kazé menu includes one appetizer, 15 varied kushiage, rice soup or miso soup and rice, and dessert. This menu costs a total of 48 Euros. They also offer a vegetarian options. For Restaurant SHU's full menu, go here.